On my everlasting search for something special for fly fishing, I came across this beautiful handcraft by Carsten Schytter: A long-handled wooden landing net for sea trout and even larger fish. It is tough, swims, has a very deep net and looks good too - can you ask for more? The "Ærø Kejsen" was originally made from mahogany by Jens Arne Rasmussen. The first ones was created in the nineties of the last century. 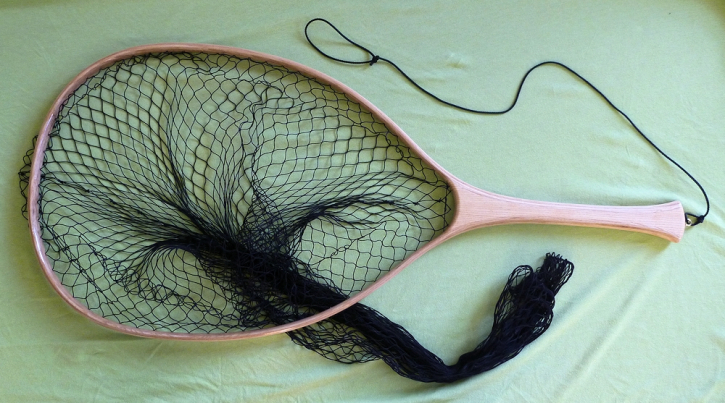 Carsten uses ash, which has a higher breaking strength, for this traditional sea-trout landing net. With its large net depth, this net is also suitable for salmon or pike.